A little late on my Design Team Monday – not sure where the week gets away to lol. Create a card using this card sketch for your inspiration! Your card must have a LSHD paper piecing somewhere on it. 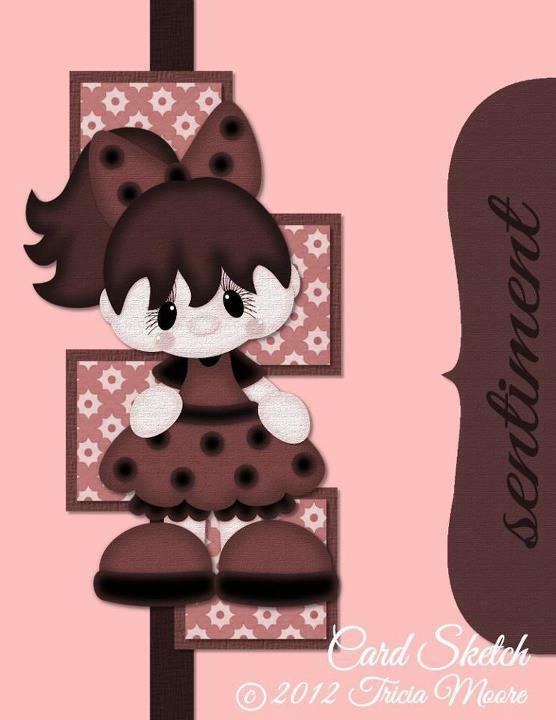 I used the file “Tweet on You” from Little Scraps of Heaven Designs. All who participate are eligible for a chance to win the $25.00 in FREE patterns & everyone who participates will receive a FREE single pattern! 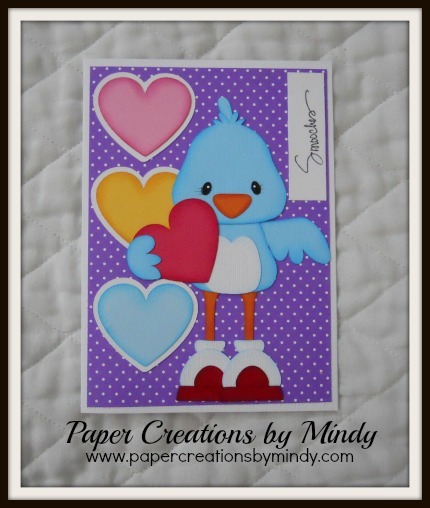 Remember you MUST create your cards & use a LSHD paper piecing (or piecings) somewhere on it. Make sure & post your cards on the Facebook fan page no later than midnight on Sunday Oct. 21st. A winner will be chose from those posted. Thanks for playing along with us! Can’t wait to see everyone’s projects on the fan page!! Head on over the Design Team Blog to see what the other girls created!